Both Smith and Warner are perhaps the biggest names in the overall context of the IPL. Former India captain Sourav Ganguly feels that Rajasthan Royals will remove Steve Smith from captaincy after he was suspended by the ICC for his involvement in the ball tampering saga that shook the entire cricket fraternity. Steve Smith along with Cameron Bancroft who was caught on camera while trying to change the shape of the ball in order to get some missing swing in a press conference admitted to their role. According to Smith a number of other members of the leadership group were aware of the plan which the Aussies planned post-lunch session. 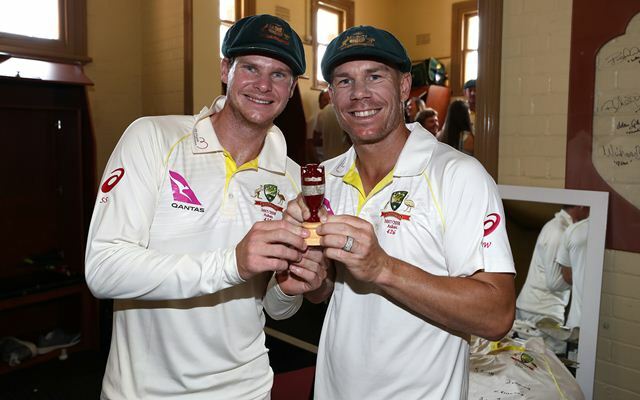 With Indian Premier League less than a month ago, Sunrisers Hyderabad who has David Warner their skipper and Rajasthan Royals who named Steve Smith their captain for the 11th edition of the side will look the change their skippers. ICC has already suspended Steve Smith for one Test but a tougher decision will be taken by the Cricket Australia as per the reports. Sourav Ganguly felt that the IPL franchises will not withdraw the contract but they will surely look to remove them from captaincy role. Ganguly while talking to India Today specifically pointed about Rajasthan Royals who are coming after facing a two-year suspension will surely change their skipper. “I think they (franchisees) will not withdraw the IPL contract. What Rajasthan Royals is going to do is, I just have a feeling, that they will just get rid of Steve Smith as captain because they have come out of a tough couple of years. They were handed two-year suspension because of betting and fixing. They will remove Steve Smith as captain and probably make Ajinkay Rahane the captain. And he will make a good captain,” said Sourav Ganguly who captained Kolkata Knight Riders in the first IPL. Ganguly also mentioned that If Rajasthan Royals does that, Sunrisers Hyderabad will emulate them for sure. “Following what Rajasthan Royals will do, I think Sunrisers Hyderabad will also do that. If Rajasthan Royals don’t do it, Sunrisers may not do it,” he added. According to Ganguly, Rahane will lead Rajasthan Royals while Shikhar Dhawan might get the opportunity to lead Sunrisers Hyderabad.